Professor Thomasenia Adams was appointed Associate Dean for Research and Faculty Development in April 2012. Her previous administrative appointments include Director, Office of Graduate Studies, College of Education (2005-2008) and Graduate Coordinator, School of Teaching and Learning, College of Education (2004-2005). Recently, she also served as a faculty associate in the Lastinger Center for Learning to provide leadership for the Center’s initiative in Pinellas County, Florida, to develop master teachers in science, technology, engineering and mathematics (STEM). 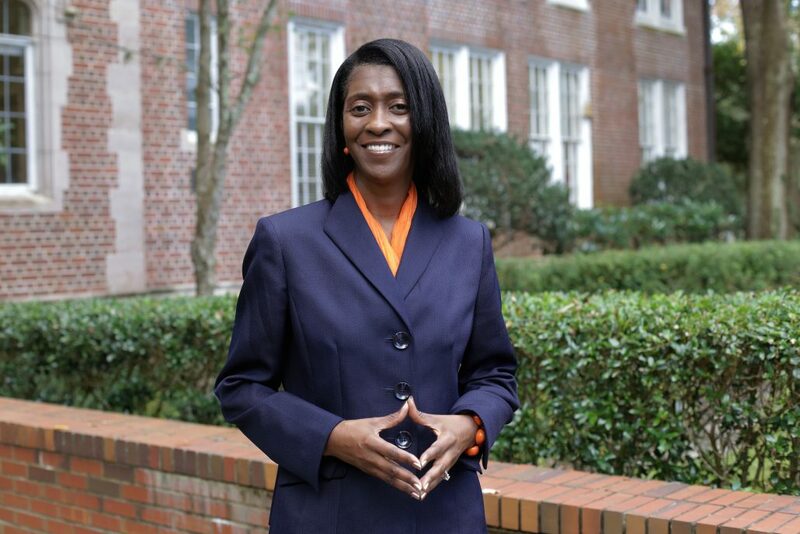 Dr. Adams’ interest in efforts related to STEM is also reflected in her extensive collaboration with schools and the Tau Beta Pi Engineering Honor Society and her position as advisory board member for the Office of Mathematics and Science, Florida Department of Education. Dr. Adams’ major research interests include development of teachers of mathematics and ethno-mathematics (intersection of cultural issues and the teaching and learning mathematics). Her record of scholarly activity include past board membership with the Association of Mathematics Teacher Educators, School Science and Mathematics Association and the Florida Council of Teachers of Mathematics. She is a senior author with Houghton Mifflin Harcourt School Publishers for the K-6 mathematics curriculum, has co-authored one book and has two co-authored books under contract for publication. Dr Adams served as Co-Principal Investigator (along with Drs. Rose Pringle (PI) and Cirecie West-Olatunji (Co-PI)) for the college’s first major research grant from the National Science Foundation in a 20-year period. Dr. Adams has facilitated over 100 conference presentations and her publication record includes the Journal for Mathematics Teacher Education, Journal of Mathematics and Culture, School Science and Mathematics, and Focus on Learning Problems in Mathematics. Dr. Adams holds a doctorate in Curriculum and Instruction from the University of Florida (1993) and a B.S. in mathematics from South Carolina State University (1987). Click here to read Thomasenia L. Adams research profile.